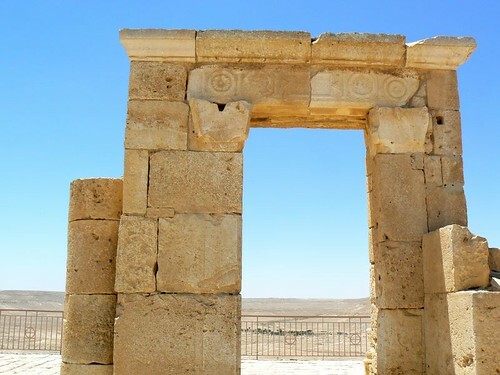 The city of Avdat was founded in the third century B.C. . 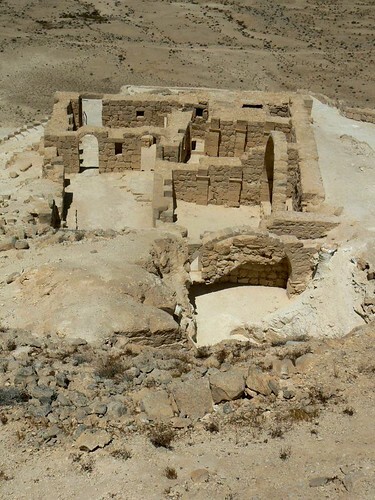 It was a station on the Incense Route (“station number 62”), along which incense and spices originating in the Arabian Peninsula and the Far East were transported, via Petra and the Negev Highlands, to the Mediterranean ports. 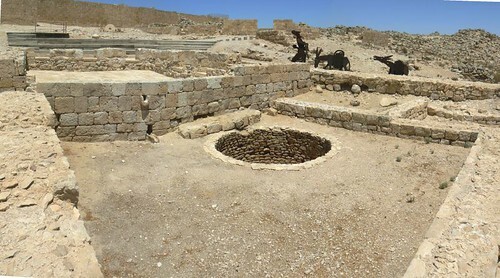 The most important port for the export of this merchandise was Gaza, from here incense and spices were sent to the centers of the Roman Empire. 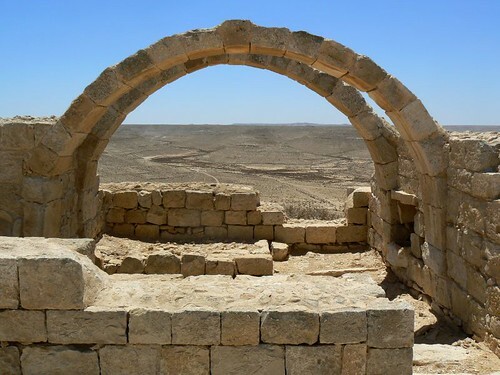 Avdat (in Greek: Oboda) was a seasonal camping ground for Nabataean caravans travelling along the early Petra – Gaza road in the 3rd century B.C. . 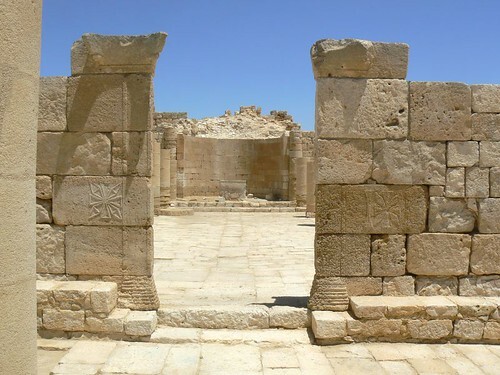 The town of Avdat was founded at the site in the late 1st century B.C. 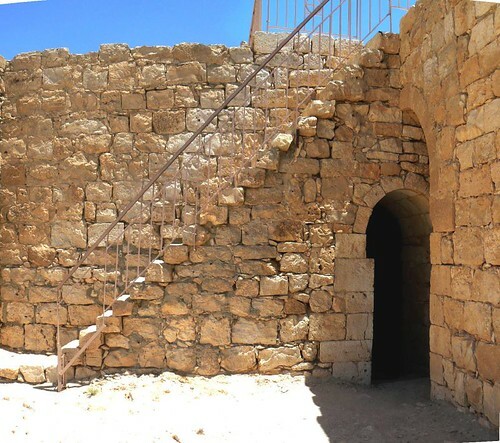 and named after the Nabatean King Obodas who was revered as a deity and, according to tradition, was buried there (hence the name in Arabic: Abdah). 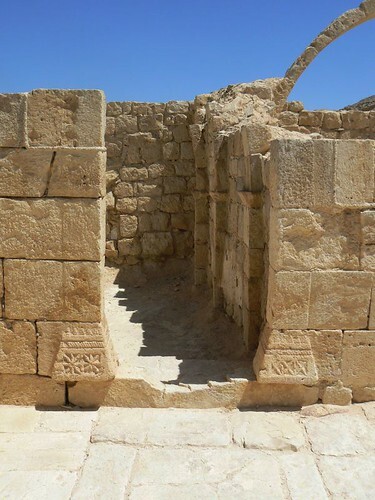 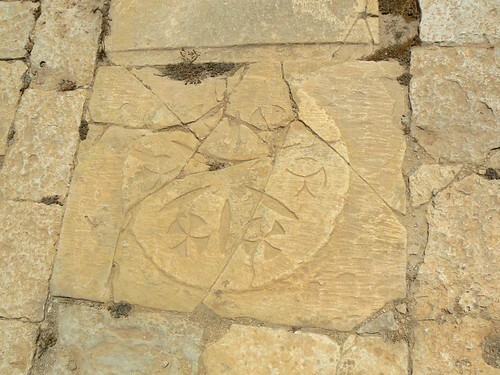 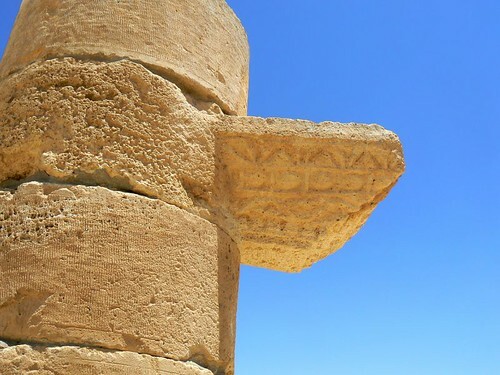 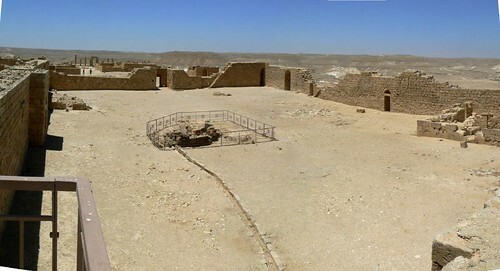 Recent excavations have shown that the town continued to be inhabited by the Nabataeans continuously from this period until its destruction by earthquake in the early seventh century A.D. 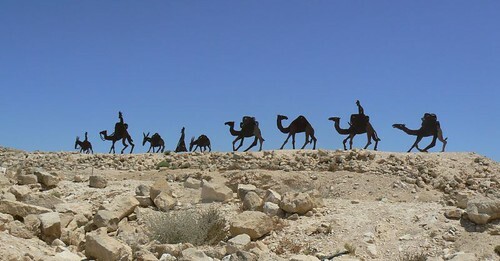 Numerous terraced farms and water channels were built throughout the region in order to collect enough run-off from winter rains to support agriculture in the hyper arid zone of southern Israel. 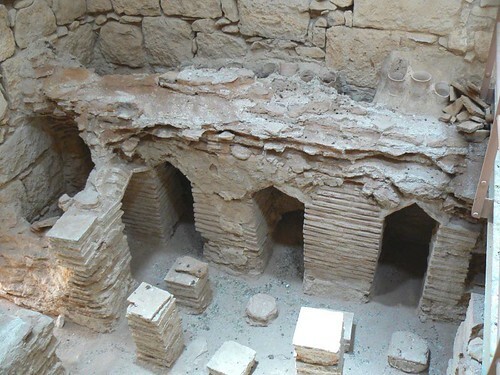 At least five wine presses dated to the Byzantine period have been found at the site. 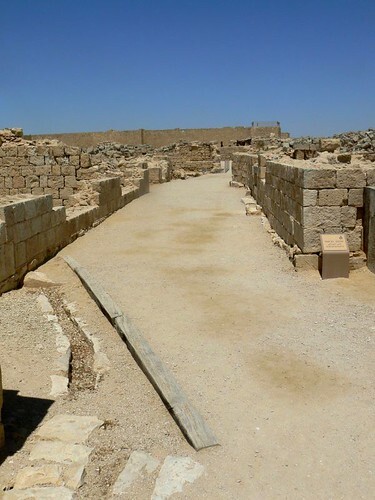 In the late third or early fourth century A.D. the Roman army constructed an army camp measuring 100 x 100 m. and contained eight long multi-chambered structures that could accomoodate a few hundred soldiers. 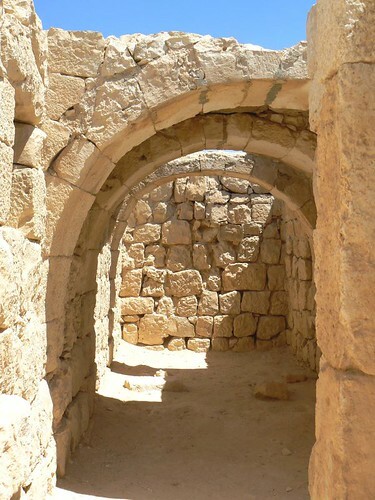 A wall was built around the later town, including a large area of man-made caves, some of which were partially inhabited in the Byzantine period. 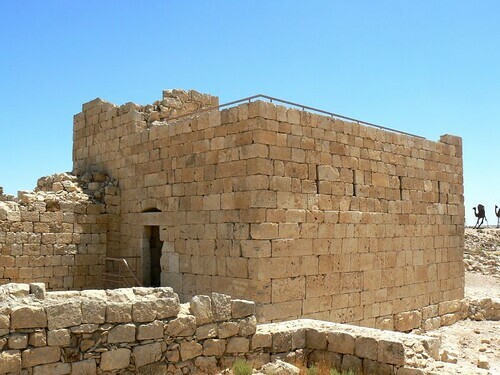 Under Byzantine rule, in fifth and sixth century, a citadel and a monastery with two churches were built on the acropolis of Avdat. 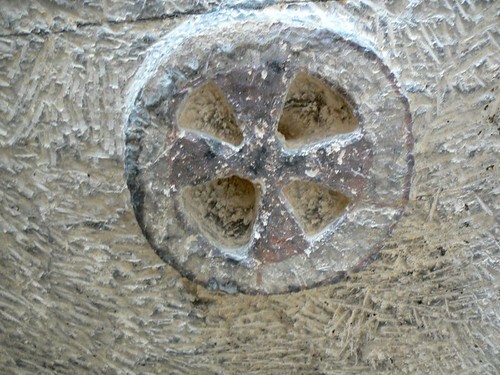 Saint Theodore’s Church is the most interesting Byzantine relic in Avdat. 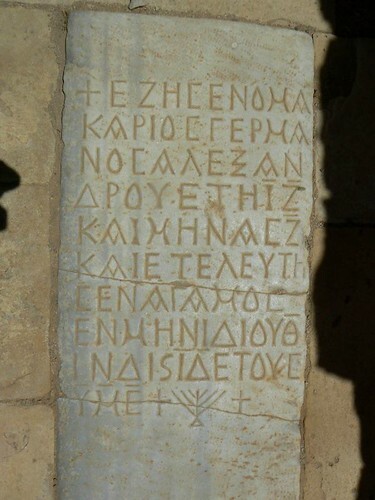 Marble tombstones inserted in the floor are covered with Greek inscriptions. 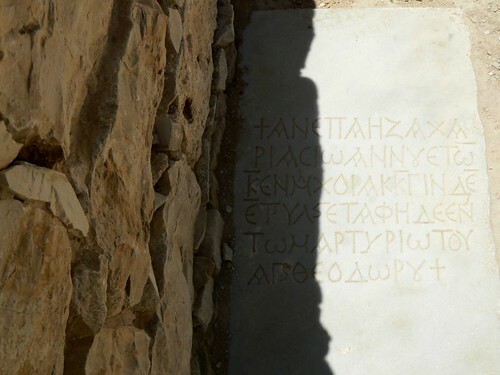 St. Theodore was a Greek martyr of the fourth century. 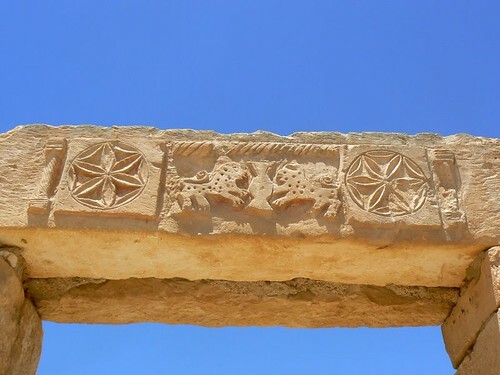 The Monastery stands next to the church and nearby a lintel is carved with lions and it marks the entrance to the castle. 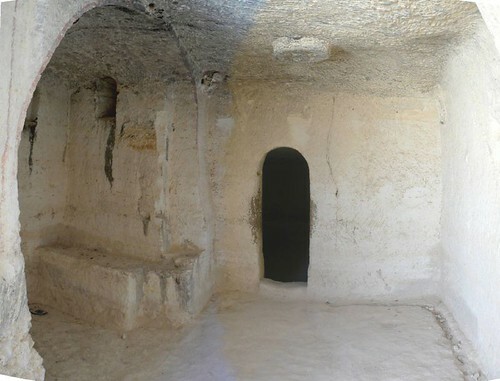 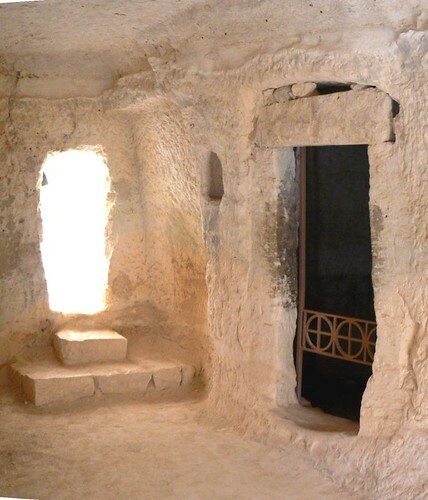 Houdreds of dwellings were built on the western slopes of Avdat in front of and sometimes behind many rock-hewn caves that were part of the city during the byzantine period. 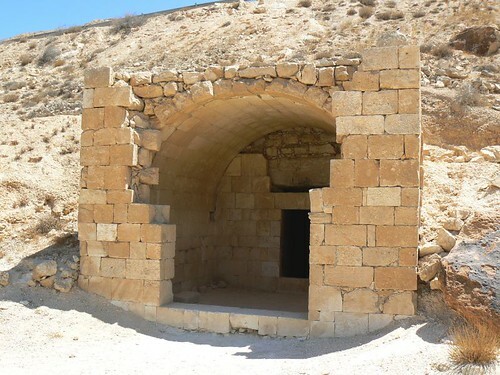 The caves served for the storage of agricultural produce. 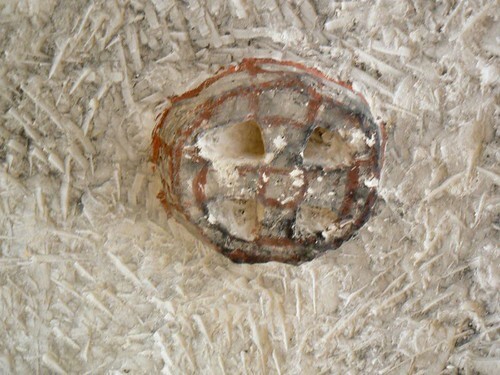 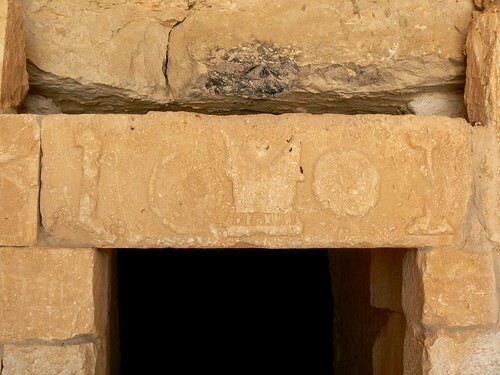 A number of tombs were found in the floor of the church, covered with marble slbs and bearing inscription. 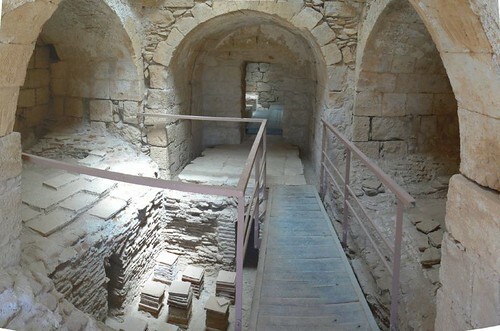 The city’s cathedral and the earlier of the two churches. 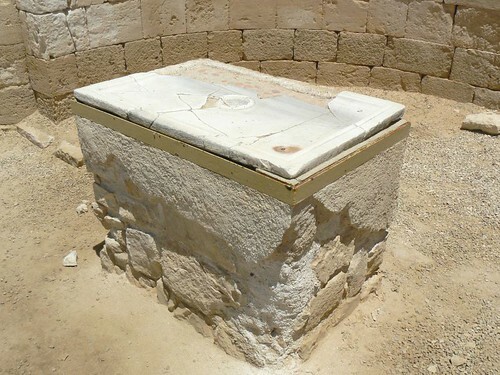 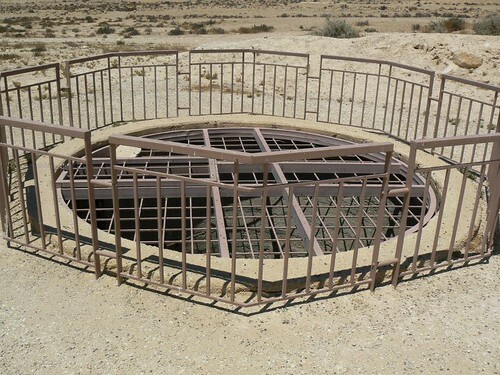 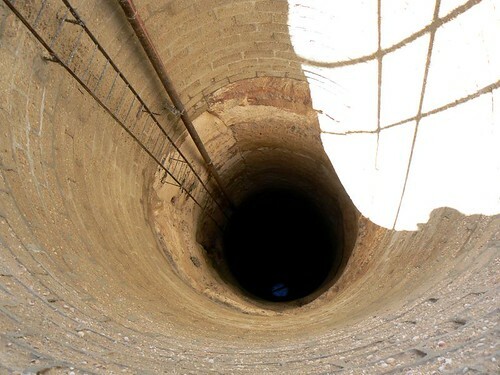 The Well – the water to the bathhouse came from nearby well, nearly 70 meters deep. 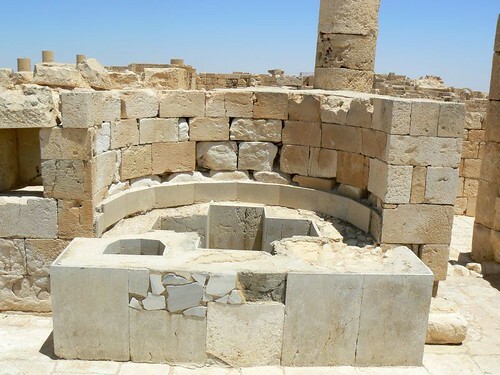 Five wine press were found in Avdat, attesting to a flourishing wine-making industry during the Byzantine period. 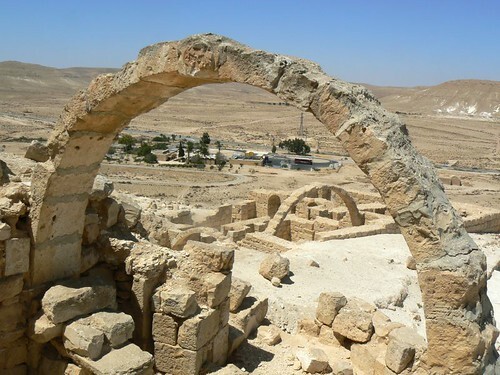 The town was totally destroyed by a local earthquake in the early seventh century AD and was never reinhabited.